Last week’s guest speaker was the Chief Executive of Publishing Scotland, Marion Sinclair. Publishing Scotland is a collective organisation with the purpose to ‘help Scottish publishers do business’. The group of founders were sick of travelling down to London for publishing meetings so they decided to do something about this. Soon after, Publishing Scotland was born in 1973 and has being going strong ever since. Publishing Scotland have approximately 70 members and unusually survives almost entirely through state funding as opposed to subscriptions. They aim to work with smaller and Scottish publishers to help them network, grow and thrive in an industry that requires more man-power than is often affordable. Going through the list of services on offer to their members, Marion paints the vivid picture of Publishing Scotland being an incredibly valuable resource for Scottish publishers who are facing difficulties that come with operating out of the London-centric hub of the industry. Services include (but are certainly not limited to) training courses, funding to help publishers attend book fairs outside the UK, networking events and marketing. Marion spoke enthusiastically about the new publishing start-ups across the country and even encouraged us to think about potentially starting our own, noting that many successful publishing start-ups have been established by people in their twenties (and beyond of course!). Getting products out to an international market, which is something Marion assured us Publishing Scotland will be prioritising. Competition- it’s a crowded market! Visibility is everything and smaller publishers don’t get the same marketing space or opportunities as bigger publishing houses. Lack of digital expertise to navigate the ever-changing digital market. The ‘Lure of London’. Smaller, Scottish publishers are excellent at spotting talent and producing best-sellers, yet this success also invites interest from bigger publishers with more resources. This is sometimes a tempting offer for authors looking to further their career. She concluded by discussing, with an energetic buzz, the increasing activity within Scottish publishing. With new start-ups, existing publishing houses starting to grow and more attention coming our way, she announced that it was an exciting time to get into the Scottish publishing industry. It’s a good thing more than half of us admitted we wanted to work in it! In the early summer of this year I was offered a three month marketing internship with independent publisher ThunderStone Books. Robert and Rachel Noorda began Thunderstone Books in 2013 to help meet the need for cultural and language education in an increasingly global and interconnected world. They now publish educational children’s books in areas such as language learning and science. As ThunderStone Books are a relatively small publisher, Rob and Rachel do the majority of their daily tasks themselves. From proofing manuscripts to organising visits to schools and book launches. For me, this was great opportunity to see how the world of small, independent publishing worked and Rob and Rachel were very hands-on with me from the beginning. One of my main duties was to increase their social media interactions and out put by essentially, taking over their Facebook and Twitter pages and posting about various publishing related events and important dates such as the pre-order dates for their new title Meh. This was an essential task and one that Rob and Rachel didn’t always have the time to dedicate their energy towards. Therefore, social media quickly became the focus of my internship with ThunderStone Books. I created a social media schedule from the list of key dates that Rob and Rachel provided me with and got to work, making sure I never missed a notification or opportunity to tweet. Which, as a 22-year old, was relatively easy as my smart phone is very rarely out of my sight! I enjoyed this part of my internship as not only was I helping to get ThunderStone Books more likes, followers and re-tweets, I was also part of a stimulating and educational publishing network. Being in charge of their social media for three months also gave me great confidence in my ability to utilize social media in a professional context. Unfortunately, I was unable to fulfill the task of arranging press coverage for the launch of the publisher’s new title Meh due to ill health in late July. I deeply regret this and wish I could have had the experience under my belt. However, Rob and Rachel were very understanding and did a great job in organising media for the launch of Meh. When it came to the launch of Meh in August, I spent the day live-tweeting and posting pictures of the event in the Livingstone branch of Waterstones. This was a fantastic event with a great turn out and impressive media coverage via STV and other organisations. 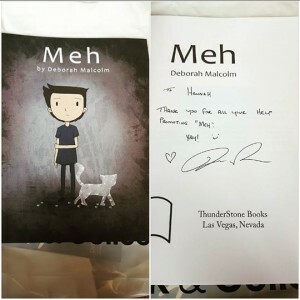 The copies of Meh sold impressively quickly. So much so, that Rob had to go and pick up more to sell! I thoroughly enjoyed the experience of being at the launch of Meh. It was a brilliant opportunity to gain insight in to the organisation of book launches and how they are perceived by the author and readers alike. 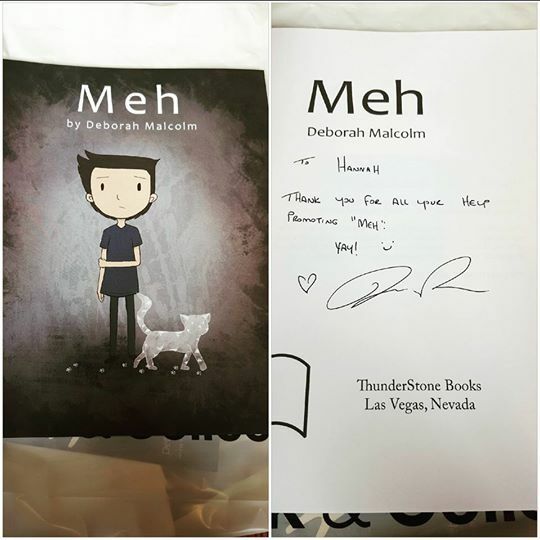 I even got my copy of Meh signed by the author Deborah Malcolm. (Buy Meh here). To summarise, my internship with Rob and Rachel at ThunderStone Books was an incredibly insightful and rewarding experience both personally and professionally. I have gained valuable experiences from their decision to take me on as an intern and have also built a like-minded professional relationship and friendship with them which I hope will last for many years to come! Never before has the control of the global conglomerates over the publishing, media and culture industries been under such scrutiny. With Publishing Scotland, we present an event on Monday 22 August at the Edinburgh International Book Festival which goes to the heart of this debate. 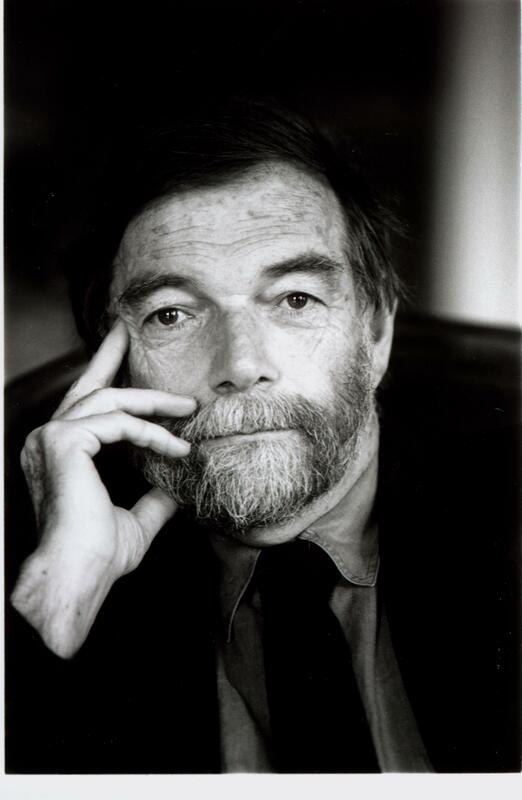 André Schiffrin, the speaker at the event, was the Director of Pantheon Books for almost thirty years, bringing authors including Pasternak and Foucault to an American audience. His landmark 2000 publication The Business of Books expressed his belief that Western publishing was in a crisis, fuelled by the concern that the five largest conglomerates in the US controlled 80% of the books produced. His belief that this profit-driven industry prevented him from publishing books propelled him to resign and set up the non-profit New Press. In his new book Words and Money, Schiffrin builds on his earlier arguments by focusing on the crisis in the general media, examining the European market to illustrate how the US corporate model has influenced practice worldwide to the detriment of serious journalism. He proposes measures to safeguard the future of publishing, bookselling and the press. In this timely intervention into conglomerate ownership practices and philosophies, and what can be done to counteract them, Schiffrin will give a presentation and then open the floor to questions from the audience. For further information and to book your place visit the Edinburgh International Book Festival website. The event is organised by the Stirling Centre for International Publishing and Communication in association with Publishing Scotland and the Scottish Universities Insight Institute Independent Publishing Programme of Enquiry.